The Mary Rose Museum, one of the UK’s foremost historical destinations dedicated to one of the greatest discoveries in recent history, has been nominated for multiple awards. The Museum, based in the iconic Portsmouth Historic Dockyard, was runner up in the Large Visitor Attraction category in yesterday’s VisitEngland Awards for Excellence. The Museum was up against The Roman Baths & Pump Room in Bath and Waddesdon Manor in Buckinghamshire. With a history stretching back over 27 years, the VisitEngland Awards for Excellence are firmly established as representing the highest accolade in English tourism. The awards, which take place annually, recognise businesses that incorporate best practice and demonstrate excellence in customer service as well as celebrating the very best in quality and innovation. The Ceremony took place at Palm Court in the The Waldorf Hilton, London. Additionally, the Museum has been shortlisted in three categories at the Museums + Heritage Awards for Innovation, Marketing and Permanent Exhibition. These focus on the Mary Rose Museum’s multimillion-pound relaunch in July 2016, entitled ‘Mary Rose Revealed’. The Museum unveiled the Mary Rose, Henry VIII’s favourite warship, in a new-look setting offering stunning panoramic views of the ship from all nine galleries through floor-to-ceiling glazing on the lower and main decks. Visitors are able to breathe the same air as the Mary Rose on the Upper Deck, as they are separated from the ship only by a glass balcony. Also introduced were stunning film projections of the crew going about their everyday work in peacetime and wartime, bringing the Mary Rose back to life. 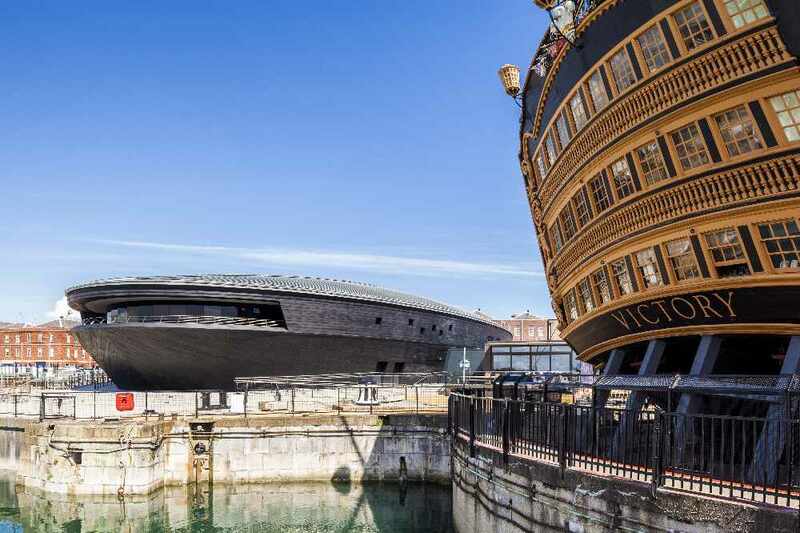 Across these three categories the Mary Rose Museum will be up against other leading UK museums and galleries such as the Historic Royal Palaces, Durham Cathedral, The Courthauld Gallery and the Imperial War Museum. The annual Museums + Heritage Awards, now in its fifteenth year, recognise projects of excellence, innovative and ground-breaking exhibitions from galleries and visitor attractions across the UK and Europe. The awards ceremony will be held on 17 May in the historic staterooms of London’s 8 Northumberland Avenue. The Mary Rose Museum has also been shortlisted in this year’s World Travel Awards. Nominated in the category for Europe’s Leading Tourist Attraction, the museum is up against world renowned sites including La Sagrada Familia, Spain, The Eiffel Tower, France and The Roman Colosseum, Italy. The World Travel Awards serve to acknowledge, reward and celebrate excellence across all sectors of the global travel and tourism industry and the winners are announced at a ceremony in St Petersburg on 30 September. Helen Bonser-Wilton, Chief Executive Officer of the Mary Rose Trust says: "We are delighted that the Mary Rose Museum has been nominated for so many awards. "These nominations are testament to 36 years of passion and commitment from staff & volunteers, as well as the unique insight into Tudor life that the Mary Rose Museum presents. The new look Museum is receiving fantastic reviews from visitors and is a must see British icon. The Mary Rose Museum presents a captivating insight into everyday life on board Henry VIII's favourite warship along with the dramatic story of her sinking and subsequent excavation and raising after more than 400 years on the seabed. Housed in an extraordinary and elegant museum, the unique artefacts give an enthralling insight into Tudor life."